I don't know where you are as you read this, but if you are somewhere that is warmer than 40 degrees consider me extremely jealous! Here in Chicagoland this appears to be the winter that never ends. It has now come to be that a typical exchange with most people on most days includes the phrase "I am SO over this!". Without a doubt we all have spring on the brain. 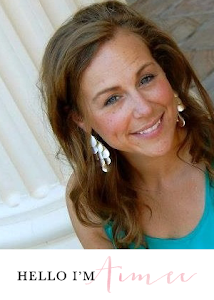 Even if it will be too long till we feel the warmth outside, we can start channeling it inside, right?! I have always wanted my own mantel to decorate. 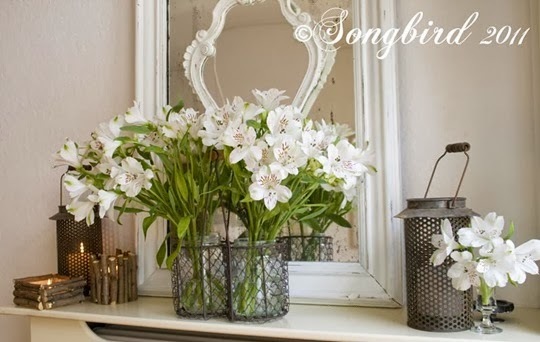 It is the perfect little place to display some nice seasonal decor and add a little variety to what you are used to seeing on the everyday in your home. Only problem was, I didn't have a mantel. No fireplace in this house, but that didn't stop me. 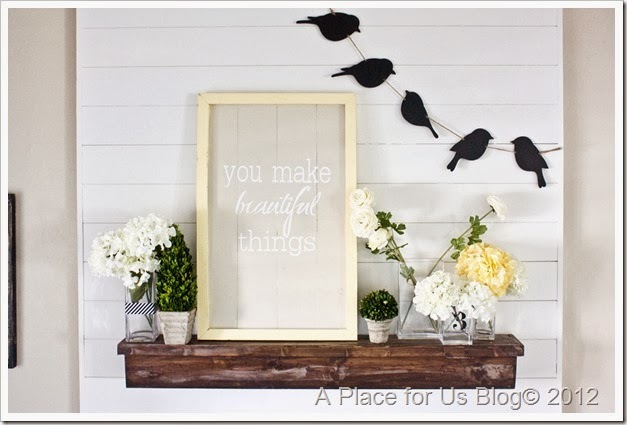 Since a mantel is really technically just a shelf I could create my own, and that I did! 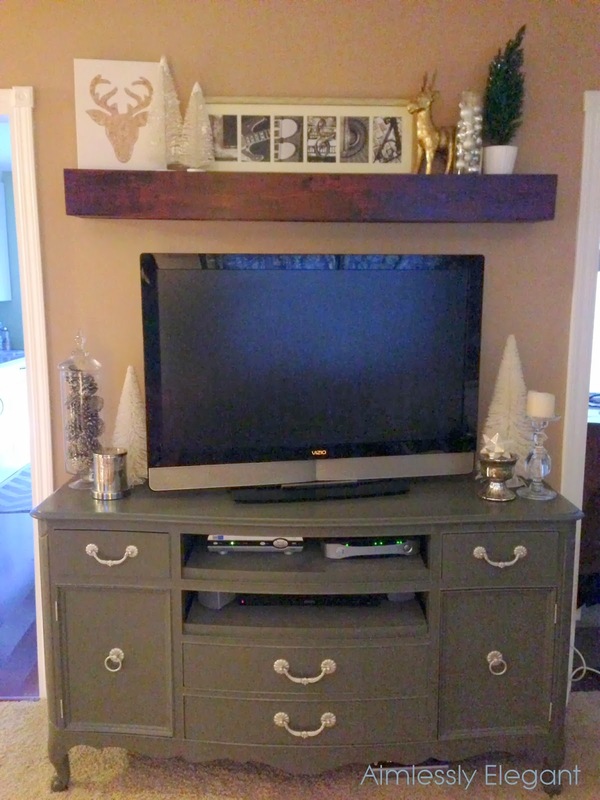 This winter I followed the plans from Ana White on how to build a Barn Beam Ledge. I made some slight modifications, using 1x6's instead of 1x4's, and creating a custom length to my space I was filling. The instructions were clear and straight forward, and this is what I was left with. I was so excited to finally have a mantel! I got to decorate it for the holidays, it was great. Now since all the holiday decorations have long since been packed away it is sitting empty waiting, waiting for spring! I have one major challenge, in that there isn't that much room between the mantel and the ceiling, so I do have to take that into consideration. Where else to go for inspiration but Pinterest. I love the abundance of flowers and greens mixed with fresh white objects. I was liking everything I was seeing, but nothing was it yet. You know when you just see it, and you absolutely love it. And then I found it, and I was in love! 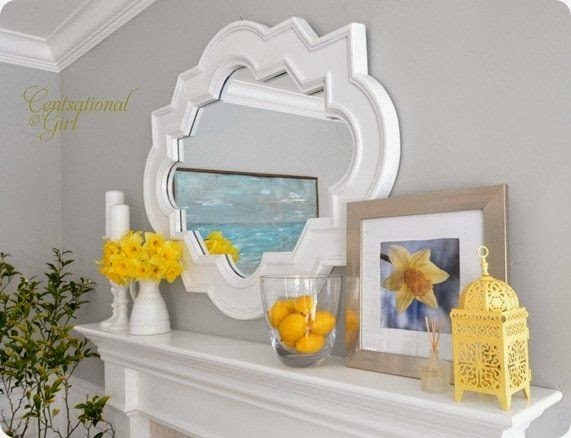 I love the simplicity of this mantel. 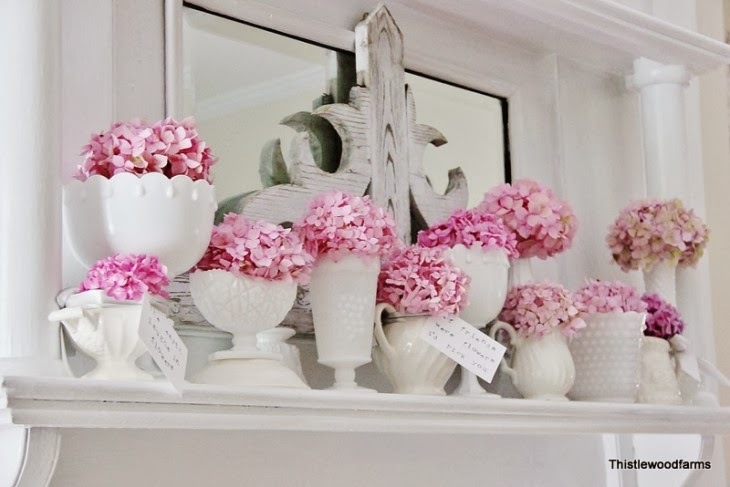 I love the milk glass in varying heights. I love the hydrangeas. I love the mirror with the wooden decal in front. I love it. 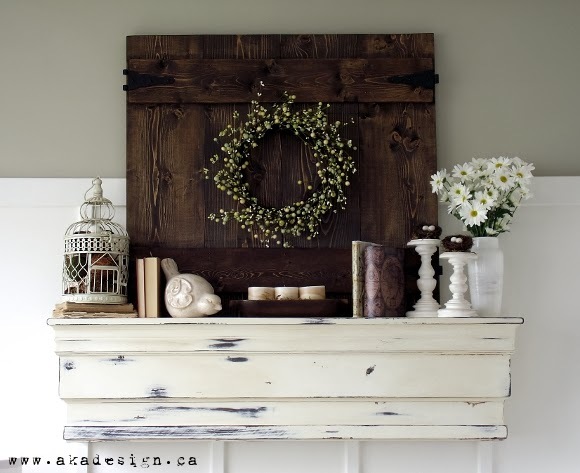 This is my inspiration for my spring mantel, now I just have to get on it! 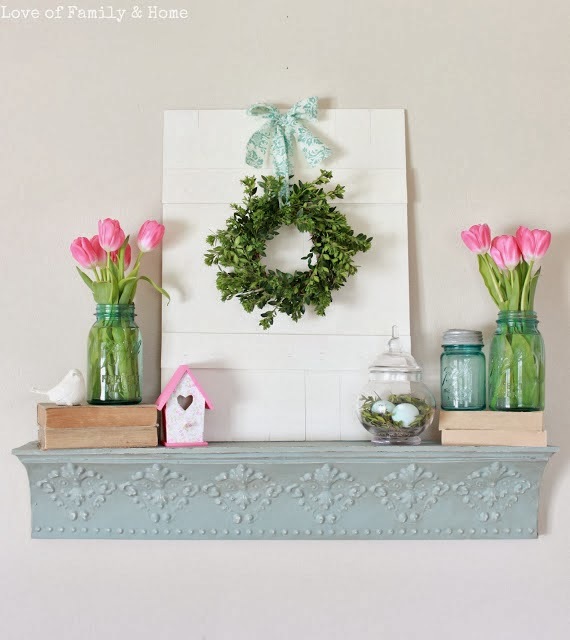 If you want to see all my spring mantel ideas that I have pinned hop over to my Pinterest board, I am sure things will be added along the way!